A huge thank you to our 145 donors and 56 ambassadors who helped make our JOLT shop a reality and a success! At Designs in Mind we are transforming what a mental health service looks and feels like. 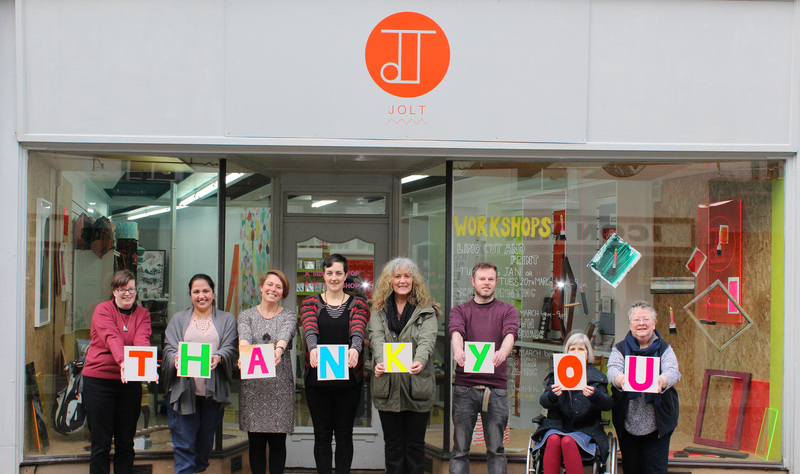 We have raised enough money to pay for the first year of our JOLT shop lease. This means that everything we earn from sales can fund the work at Designs in, where together we are smashing mental health stigma and finding ways to live life.